To that end, what has always interested me more are new-to-the-world non-flagship models: the iPhone 5C in 2013, the iPhone 8 last year (or was it the iPhone X? ), and the iPhone XR yesterday. Each, I think, highlights critical junctions not only in how Apple thinks about the iPhone strategically, but also about how Apple thinks about itself. but also multiple articles speculating on what the iPhone 5C would cost and how it would be positioned. Last year, meanwhile, was in many respects the opposite of the iPhone 5S and 5C launch, at least from a framing perspective. The iPhone 8 was the next in-line after the iPhone 7 and all of the iPhones before it; it was the iPhone X that was presented as being out-of-band — “one more thing”, to use the company’s famous phrase. The iPhone X was the “future of the smartphone”, with a $999 price tag to match. First off, while the XR does not have stainless steel edges like the iPhones X or XS, it is a far cry from plastic: the back is glass, like the high end phones, and the aluminum sides not only look premium but will be hidden when the phone is in a case, as most will be. What really matters is that the front is the same, with that notch: this looks like a high-end iPhone, with all of the status that implies. Apple should be fine though: overall unit sales may fall slightly, but the $1,099 XS Max will push the average selling price even higher. 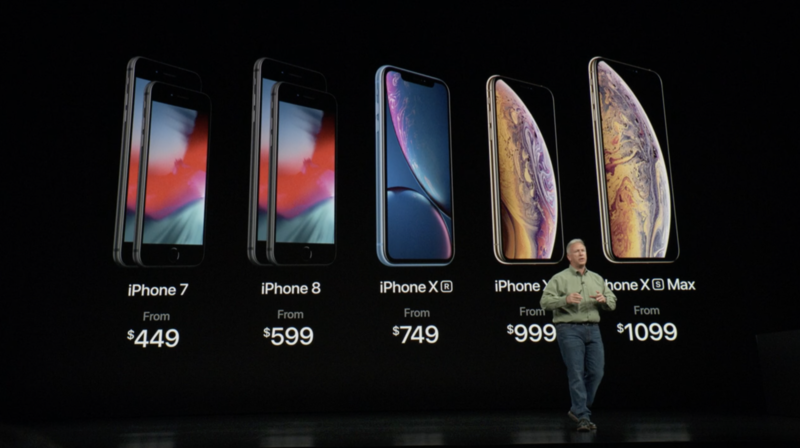 Note, too, that the XR is only available starting at $749; the longstanding $650 iPhone price point was bumped up to $699 last year, and is now a distant memory. ← TECH: Smartwatches promised to make us healthier, and they finally might. Apple’s and Google’s next wearables will be more than glorified pedometers.